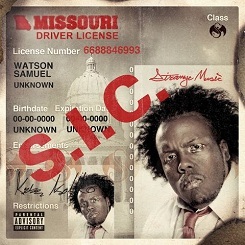 The time may have come for Tech N9ne’s All 6’s And 7’s to drop, but Strange Music fans certainly haven’t forgotten about Krizz Kaliko’s latest effort. S.I.C. was released earlier this month, and fans are still blown away by the incredible music found on the EP. Tracks like “Immortal” and “Down” have quickly become fan favorites, leading the pack with the most buzz. Everyday, more and more fans flock to Twitter to share their thoughts on the EP with Krizz Kaliko. By the looks of it, this may be one of the most popular releases of the year. “Immortal” was produced by YoungFyre, and “Down” was produced by Soleternity.